I am going to work with my man today, but wanted to show you what's new in the SueBeads shop! Rondelles! They aren't the same as the other ones I loved so much, and don't have any more of, and can't find any more of! But they are cool just the same. I made earrings from them - what do you think you would do with them? Want to show me? I will pick 5 people to participate in a challenge! You will receive a pair of these rondelle beads and we'll have a blog hop to see what you made! Just comment on this post by Wednesday evening at 8 pm. I'll choose 5 random people to receive a random pair of these rondelles! We'll do a little blog hop on May 26th! That should give everyone enough time to get something done, especially if you are participating in other hops! Well it would just be rude not to volunteer wouldn't it. Love those colours - please put my name in the hat Sue. I think they are very cool, almost a sea urchin look because of the almost bubbly texture. You know I'd love to play! Me Me Me :) I would love to play!! 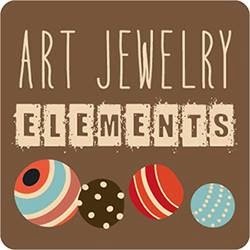 Been admiring your enamel beads in your store and would love to see them (and play with them) in person. I need a new summer bracelet, so that is what I would make with them! Oh, jumping up and down, pick me, pick me! :) I so love your enameled beads. And the colors you chose are wonderful. I can already think of a couple of things I would do, so a resounding YES! I think the new ones look great! Beautiful beads! I'd love a chance to try them. Thanks so much for the entry. Love these! You know I am a lover of your beads...lampwork or enamel!!! I would love a challenge! Regardless if chosen or not, I will be sure to visit your blog hop! I'd love to play along - those colors are great! I love them and would love a chance to be part of your challenge. I'm not sure what I'd do with them yet, but am already brainstorming ideas. Thanks for the opportunity. Cool rondelles! I'd love a chance to design something with these. Please put my name in the pot! I would love to play :-) Thanks for the chance. Hey, what up with the comments? Is your comment acceptor working? Or whatever it's called. I left a comment last night. Would love a chance to try something with rondelles. I figured the competition would be fierce, but when I checked back....0 comments. Hmmm. Not even mine. Also, if no one responds maybe I'll get to be the randomly selected one!